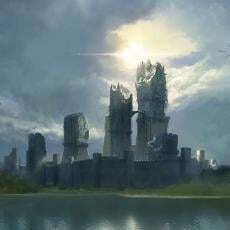 Harrenhal--Better Suited as Westerosi Parliament/Congress Building? If no single family can afford to maintain it, why not distribute the costs of the castle through joint ownership by the major houses--Stark, Lannister, Tyrell, Arryn, Baratheon, etc.? Each region could maintain or could help to maintain a tower. It's centrally located on the continent. It has a history of symbolism tied to deal-making. The people of the Riverlands would probably appreciate a greater degree of diplomacy amongst the houses. The only hitch seems to be the Kings and Queens of Westeros not wanting to give up power... Besides that, this could be how you "break the wheel." Its a solid fortress within a strategic location. Whats the point though? harren built it as his version of King's Landing, a fortress to awe his enemies and vassals into submission. Aegon built his own to do the same thing, and in a better place. There's really no reason to keep it up. Why tax the whole of westeros just to maintain some silly castle that serves no function? Better to use it as a rock quarry for a new smaller more reasonable structure. So is that the reason why it hasn’t been torn down yet? Maybe the Targaryens wanted to use the ruins of Harrenhal as a reminder of what happens to people that go against them. Even the beginning of a canal to Maidenpool. Whats the point though? harren built it as his version of King's Landing, a fortress to awe his enemies and vassals into submission. That's the history we're given, sure. But then there's the stuff about blood in the mortar and weirwood construction. And how Aegon invaded the same day Harren took residence in it. And how the unexplained sterility and eventual extinction of dragons coincided closely with house Lothston taking possession of the castle, and how the birth of new Dragons only occurred after the last Whent was driven out. It makes one wonder if the castle served another purpose, one in the Mythic "game", whether known to Harren or not. And if so, one wonders what might happen if a descendant of house Whent, perhaps someone currently posing as the natural daughter of its current Lord, were to retake possession of that castle. Would it put that person into conflict with a certain someone who has a vested interest in her dragons remaining functional war machines? Is there a Westeros historical society? it is a pretty interesting part of the continent's history but as far as practical uses it's worthless better off using it to rebuild more realistically. Antidragon designs? I kinda doubt it just seems like there'd be more said. And I know she wasn't the one in control of the castle but Arya is just as much Whent and her presence doesn't seem to have affected anything. I take some issue with the idea that Arya is as Whent as Sansa, when great care is taken by the author to associate each of them with a distinct and different hemisphere of their ancestry. Genetics isn't like mixing paint, you have a gene or you don't. As to "more would be said" I have a hard time with that too. We don't have a single clue why dragons stopped breeding. There's nothing said at all on the topic. So any given hypothesis is as valid as the next. Finally, I didn't say Harrenhal was anti-dragon. I don't think it is, not directly. Rather, Harrenhal is anti-magic, a weapon aimed at the Children of the Forest (hence the location of the castle) and the extinction of dragons was simply a side effect, dragons requiring magic to breed, and long term, to live at all. I'm not sure I can say with confidence that Ironborn "aren't really into magic". I can't recall any particular bias against it: Euron has no particular trouble being elected King, after all. 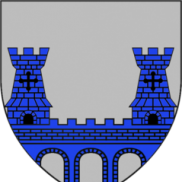 And even if magic was a particular tabboo amongst the Ironborn I'm overlooking, house Hoare had been seated on the mainland for three generations before Harren, from the seat established by Harren's grandfather in (IIRC) Maindenpool. And House Hoare has a history of bucking Ironborn tradition anyway: they were the ones to first allow Septs on the Iron Islands, for example. But as I implied previously, it's entirely possible Harren himself was unaware of the nature of the castle, and was simply manipulated by the Citadel. The Maesters have a near monopoly on engineering, which means any significant architectural project in the modern era would have had to have involved them.